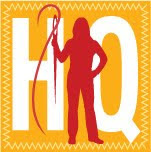 History Quilter Podcast Episode 15 is now up on Podbean and iTunes. In this episode I talked about two ways in which quilts can be used to teach history. In a classroom setting, teaching children about quilts can inform them about the chronological age of a quilt, the geographical area where the quilt was made and the social/family history of the quilt in regards to whom it was made for and why it was made, etc. Quilts can also be used as a biographical account of a portion of a person's life as in the example I spoke about. 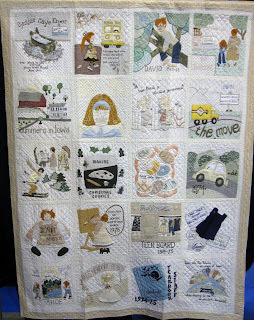 I took the photo above at the Flying Geese Quilter's Guild Quilt Show on Saturday October 1st, 2011 held in Aliso Viejo, CA. Ms. Erger in the description card explains "The quilt, for my daughter, was designed before I began constructing it. 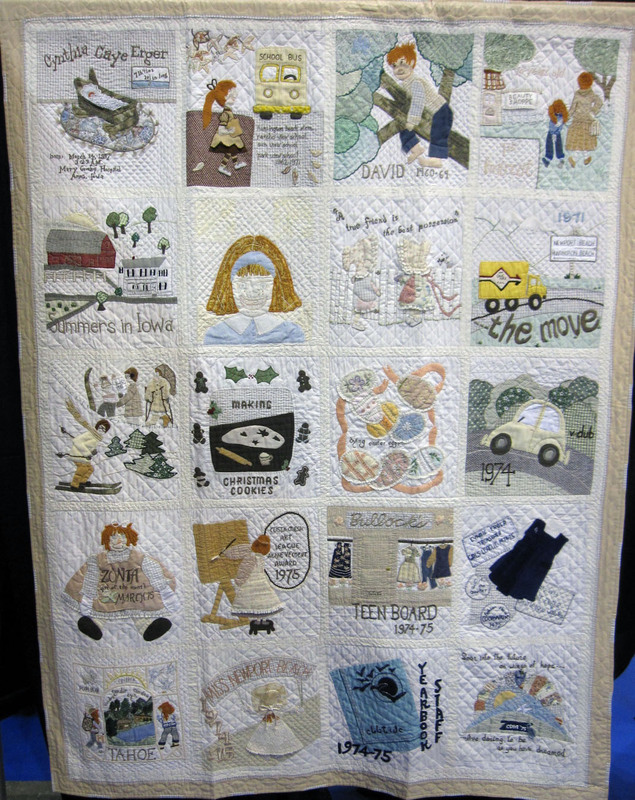 My family and I decided upon 20 milestones in her life, birth to high school graduation, we felt should be included in the completed quilt." As I said in the podcast, we quilters have the ability to create biographical legacies to share with the world, just as writers can with biographies and filmmakers can with movies. This quilt was without a doubt my favorite at the quilt show as the combination of Ms. Erger's artistry/mastery and the story that the quilt told made it stand out above all the rest. I subscribe to American Patchwork and Quilting - are there other quilting magazines which should be showing up in my mailbox? Are there family recipes that you make that you thought were original to your family but then come to learn that many others have the same recipe? 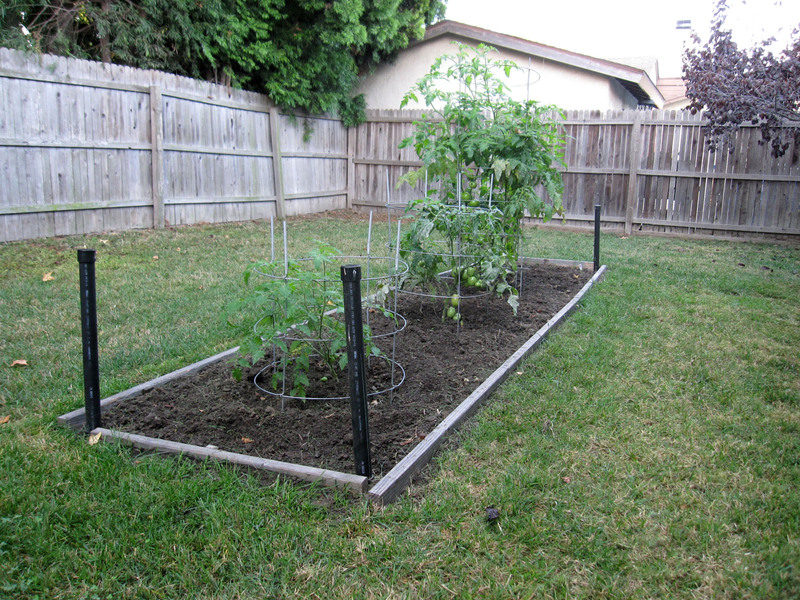 Here is one of my vegetable gardens. 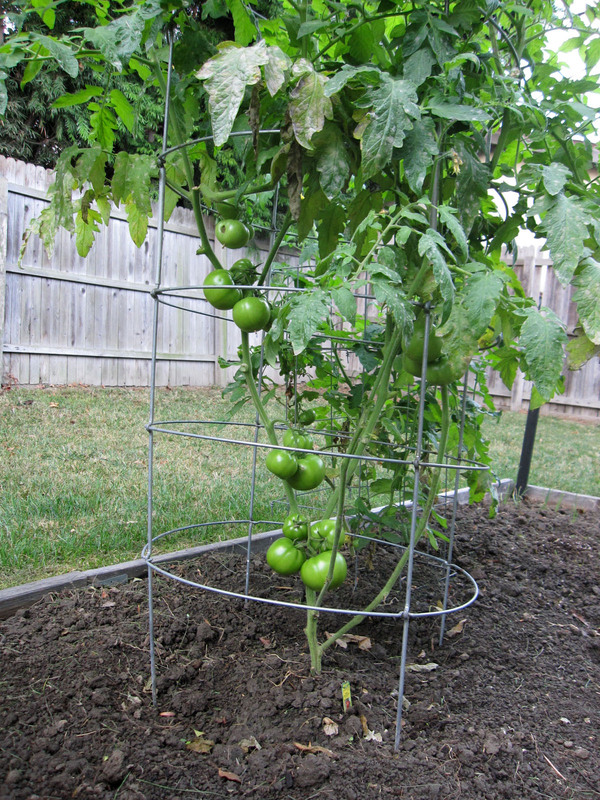 It is approximately 17" by 4" right now - the plan is for another row by next spring. I enjoyed your podcast yesterday - loved hearing about that 35-year quilt. How precious! Honestly, I've let all my quilting mags expire....still getting the one you mentioned, but it doesn't inspire me like it used to. 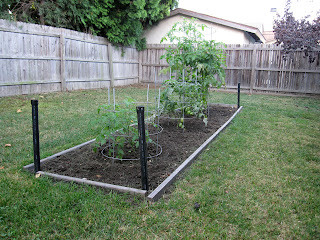 Now quilting blogs & flickr - they inspire me! And I'll have to think about the recipes...oh, and great to hear about your ideas for teaching with quilts. Very cool. 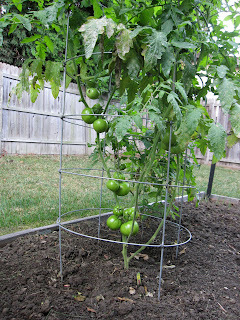 The tomatoes will be great when they ripen. Here in NC the only ones we are getting from the grocery now are the pale red ones that taste like what cardboard might taste like - I think. Love the research and history you give on your podcast. I recently received an 1876 quilt from a deceased distant aunt's estate. I would love to know more about it. It is embroidered blocks with what would seem like events in the quilt makers life. Her name is embroidered on the quilt with the date and I have researched her name and received some info.